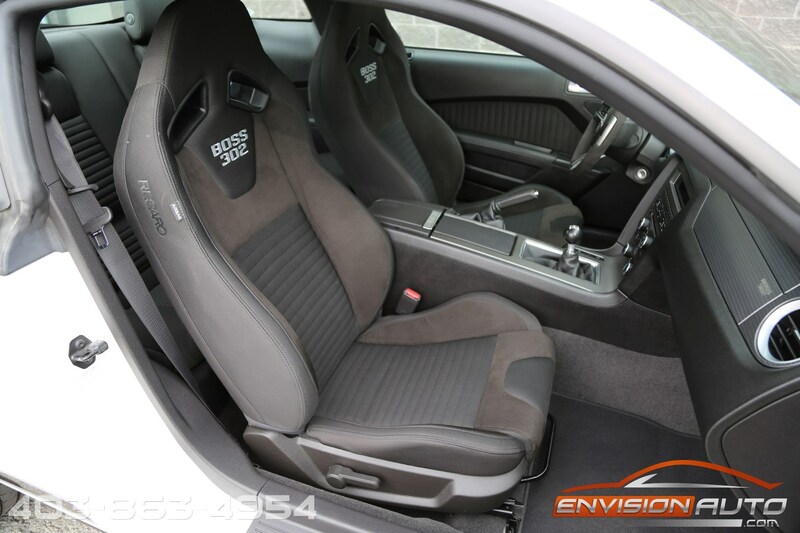 Color : – Performance White Ext. 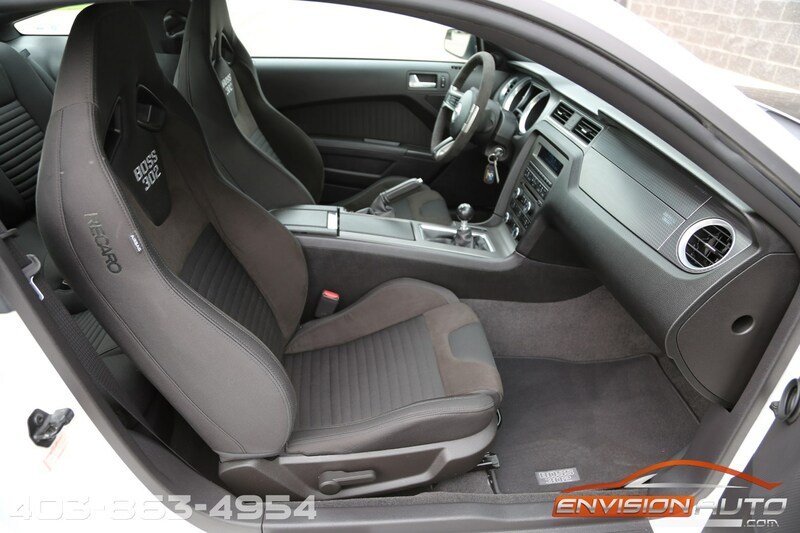 w\ Charcoal Black Cloth Int. 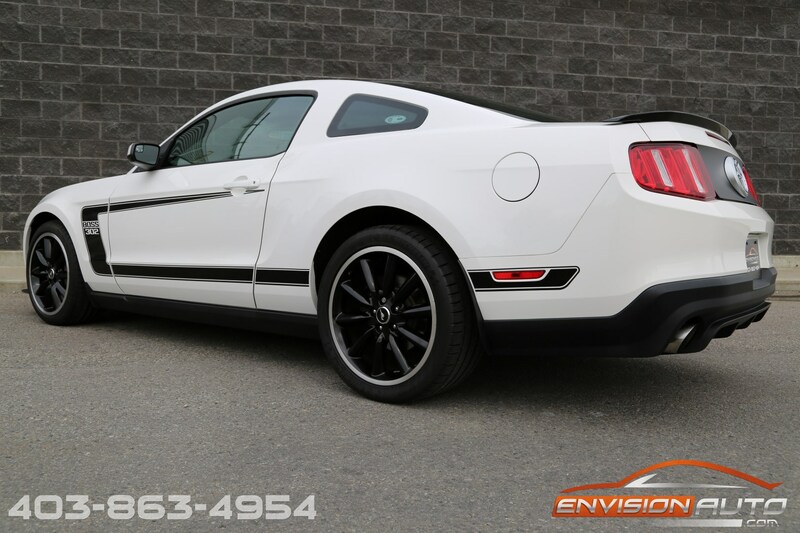 More Details : – SINGLE OWNER – CAPROOF VERIFIED ACCIDENT FREE HISTORY – RED TRACK KEY ENABLED – BRAND NEW MICHELIN TIRES – ONLY 20,900 KILOMETERS! 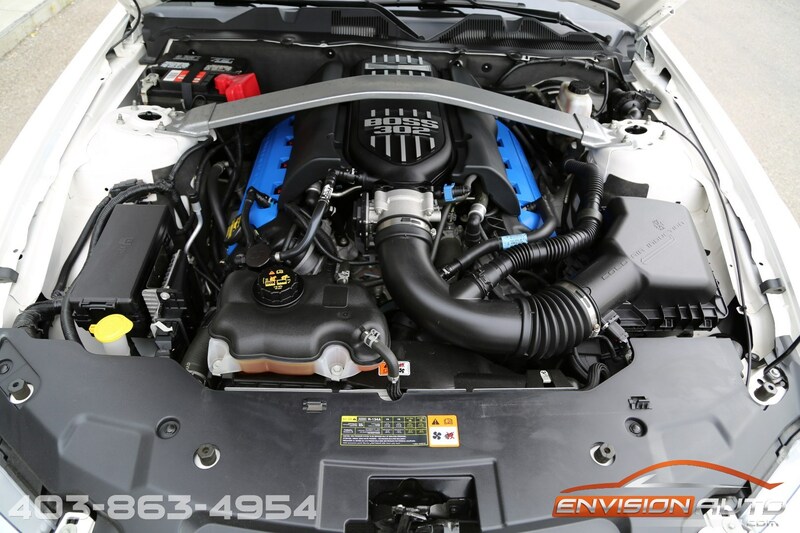 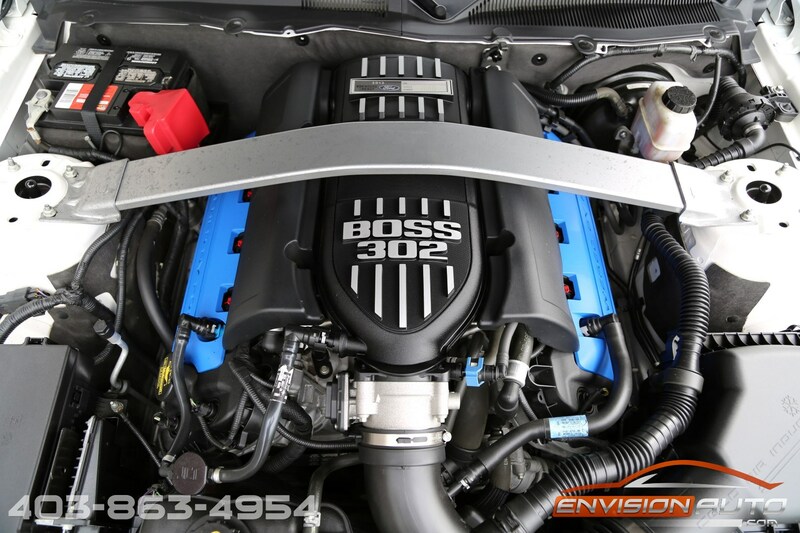 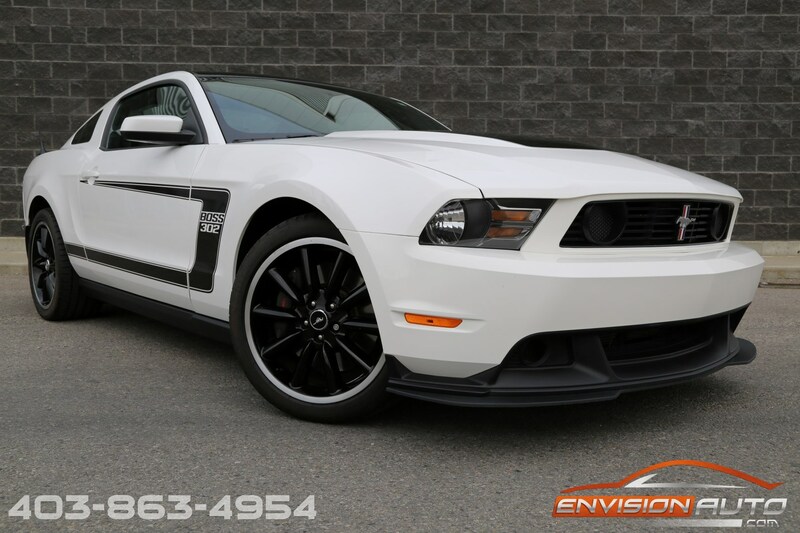 The Boss 302’s 5.0-liter V8 6-speed manual transmission raises the power output to a remarkable 444hp and 380 ft/lbs of torque. 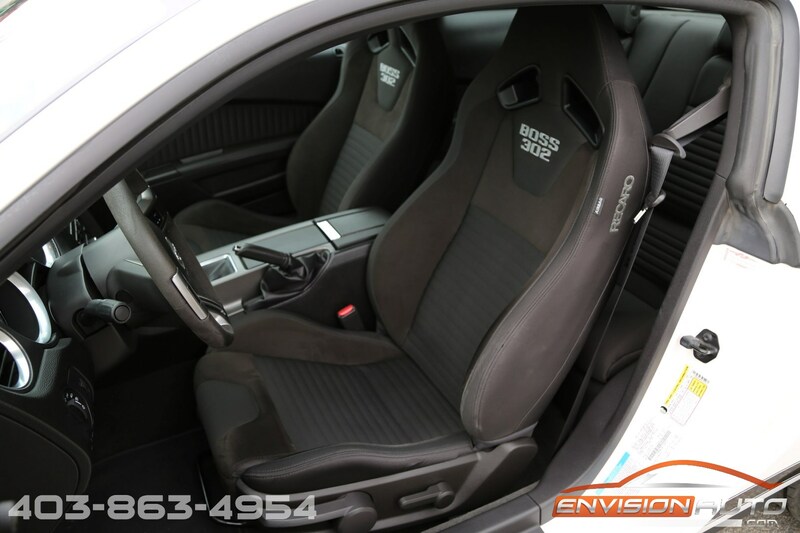 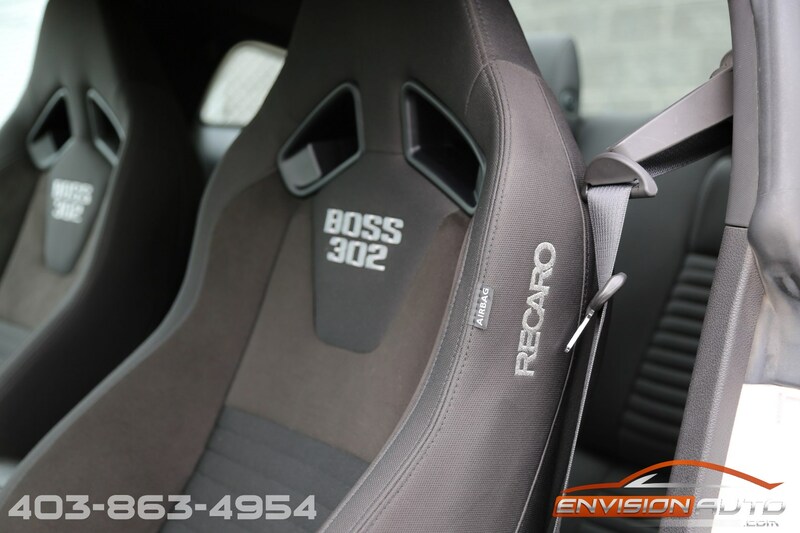 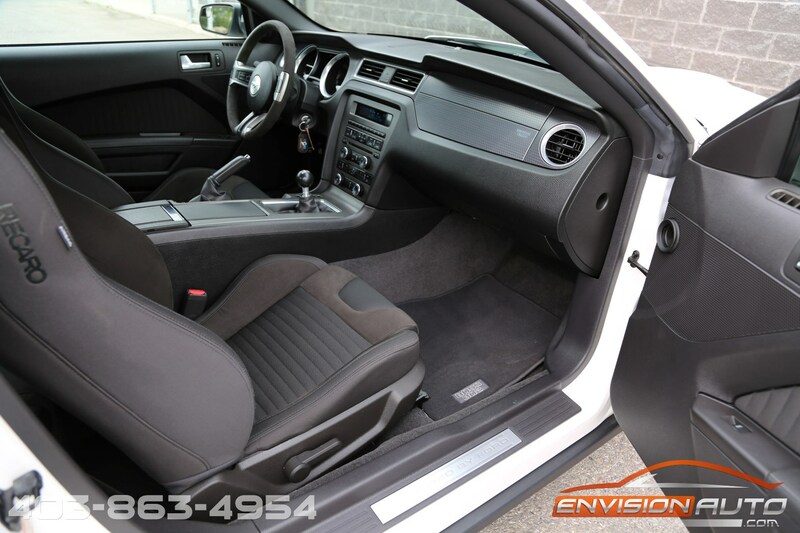 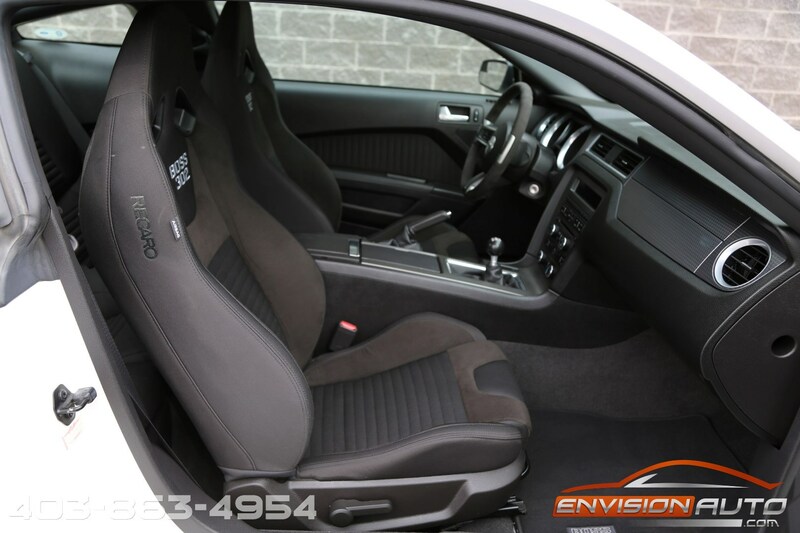 Includes: Recaro seats, 3.73 ratio limited slip with torsen differential, programmed red track key (at dealership) & regular silver key, boss package factory car cover. 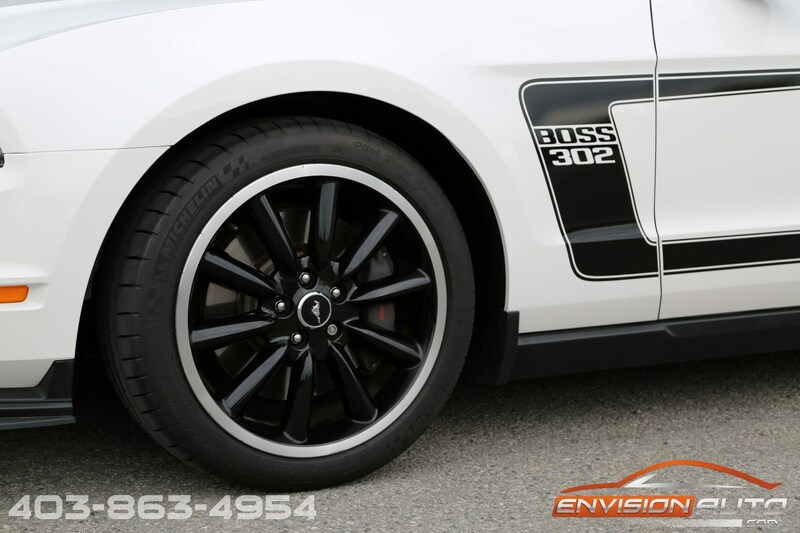 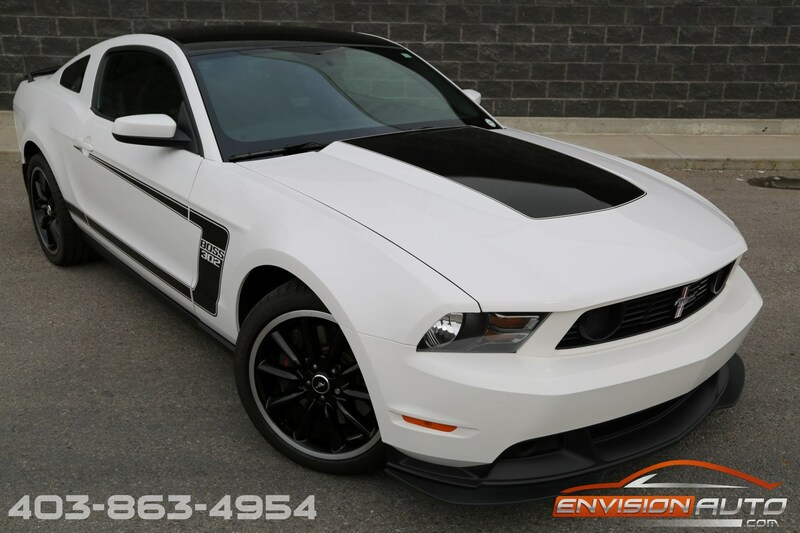 This BOSS 302 is car number 140 out of 291 produced for the Canadian market. 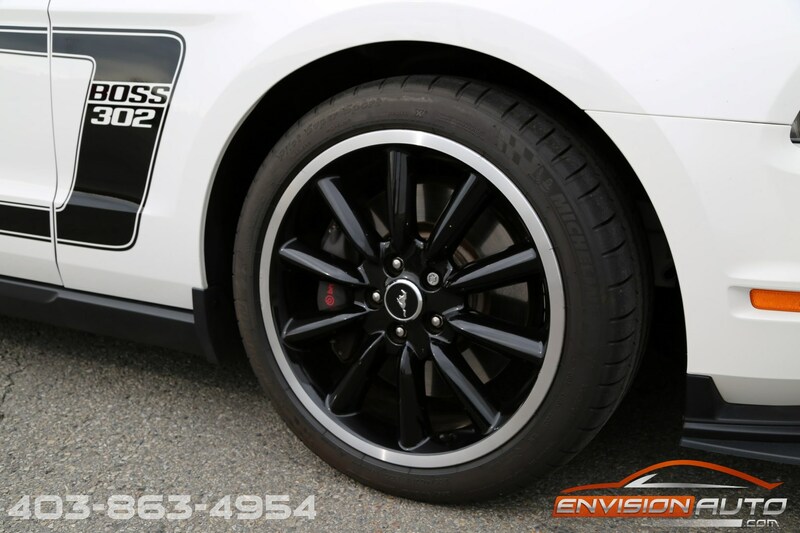 Four BRAND NEW Michelin Pilot Super Sport tires JUST INSTALLED! 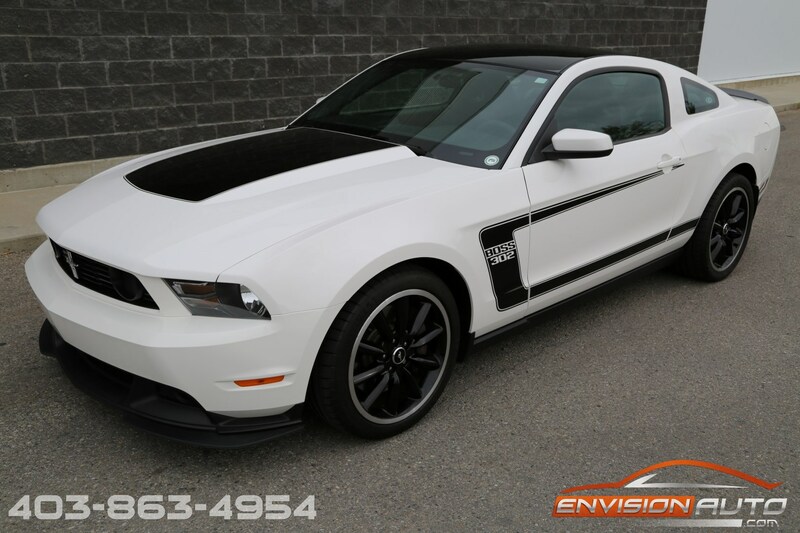 Power steering, brakes, windows, locks, and adjustable suspension, air-conditioning, tilt steering, 4-wheel disc brakes, SYNC package, AM/FM, CD/MP3 player, Quad exhaust system, 19in black factory alloy wheels, black cloth Recaro seats with Boss Logo, painted side mirrors, black hood accent, and hockey stick side stripe. 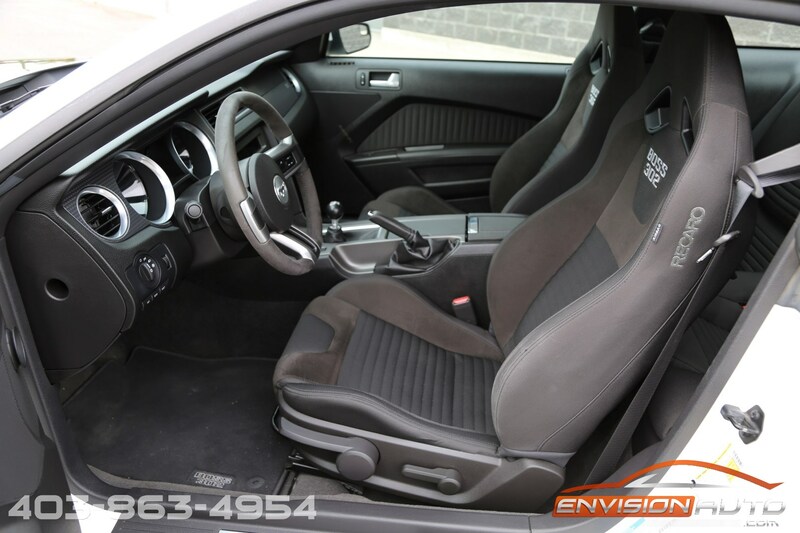 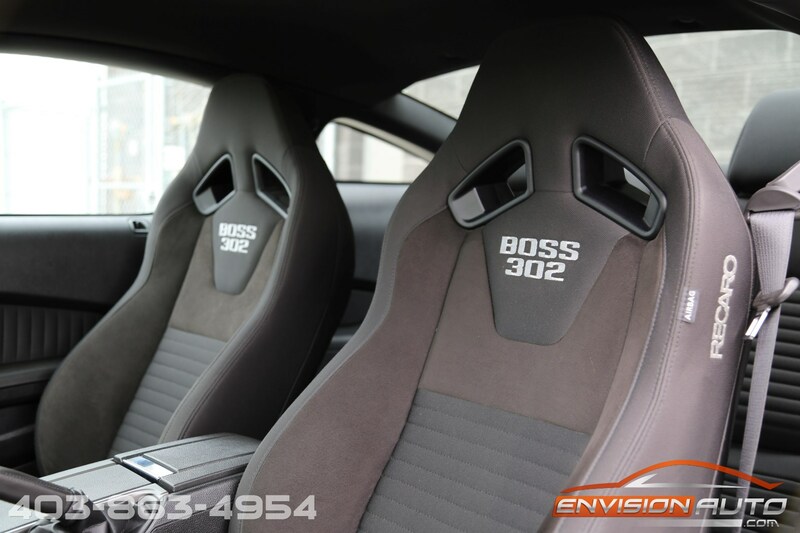 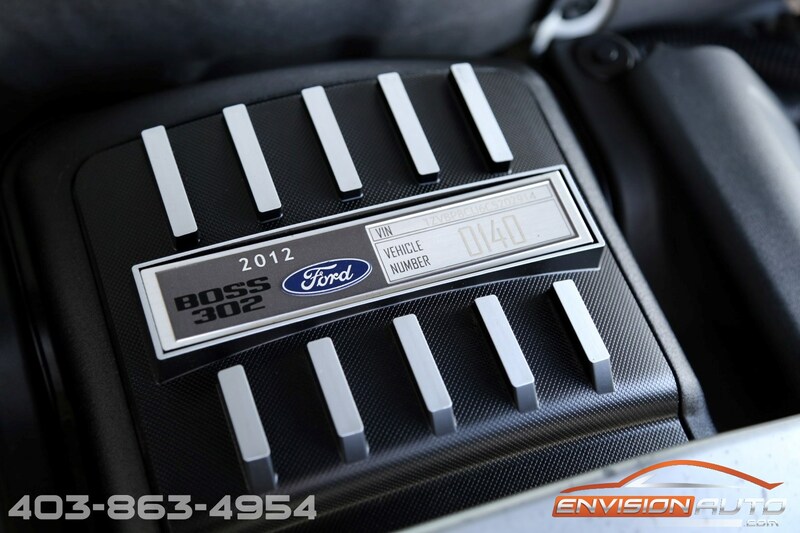 Owners manuals, Boss 302 car cover, and Boss floor mats are included. 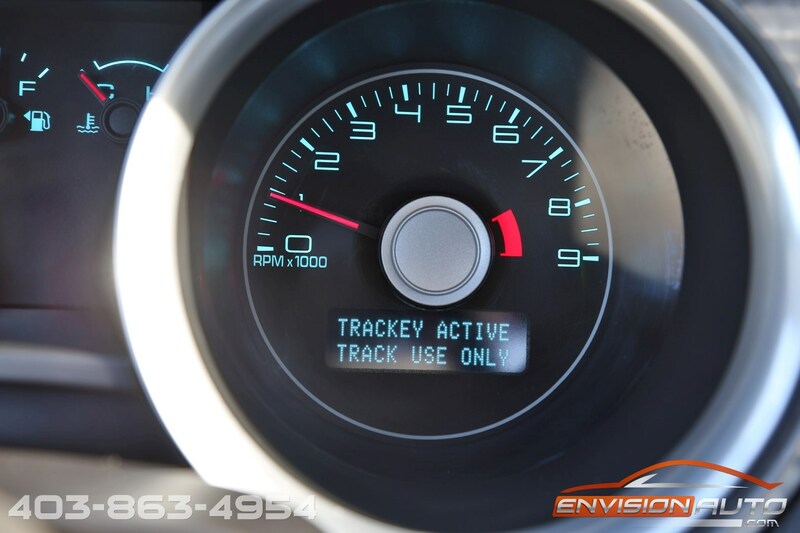 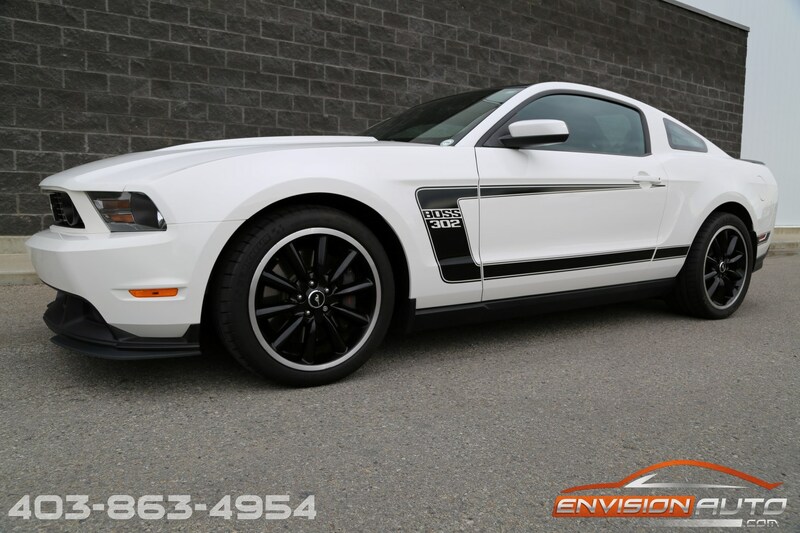 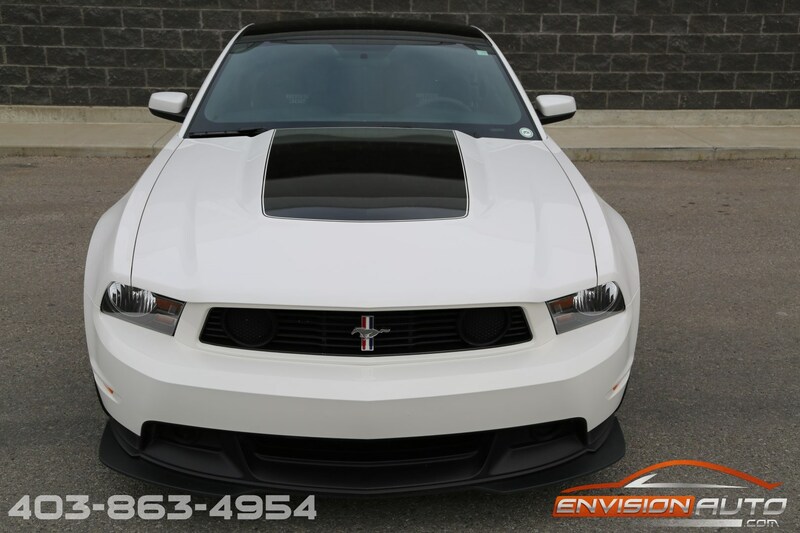 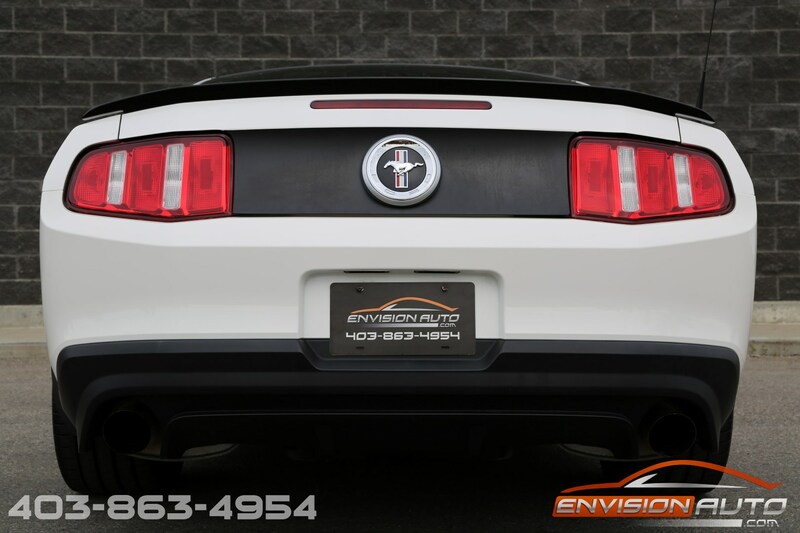 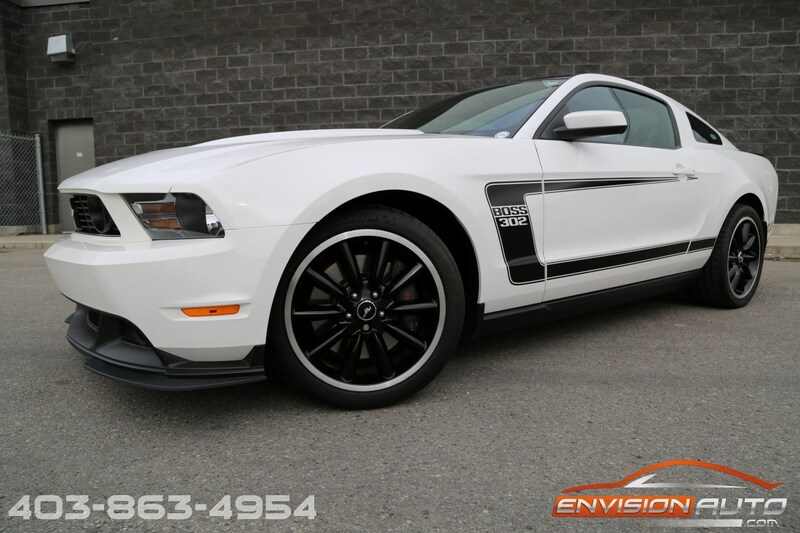 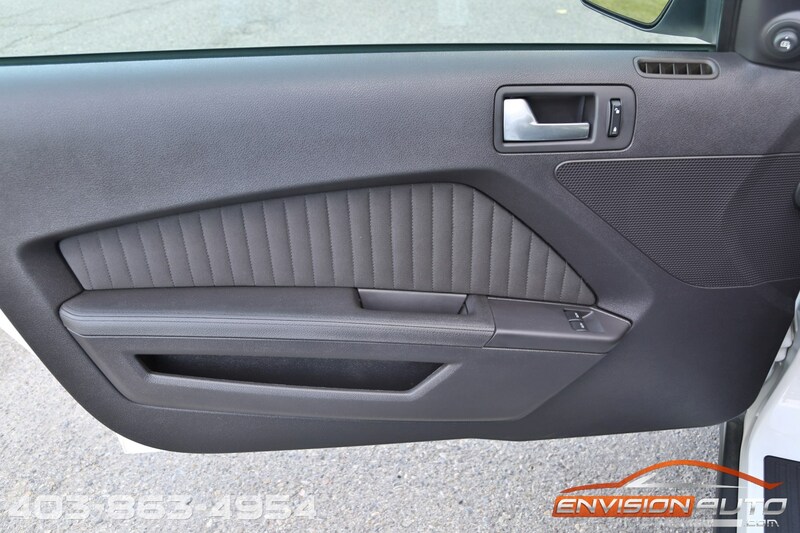 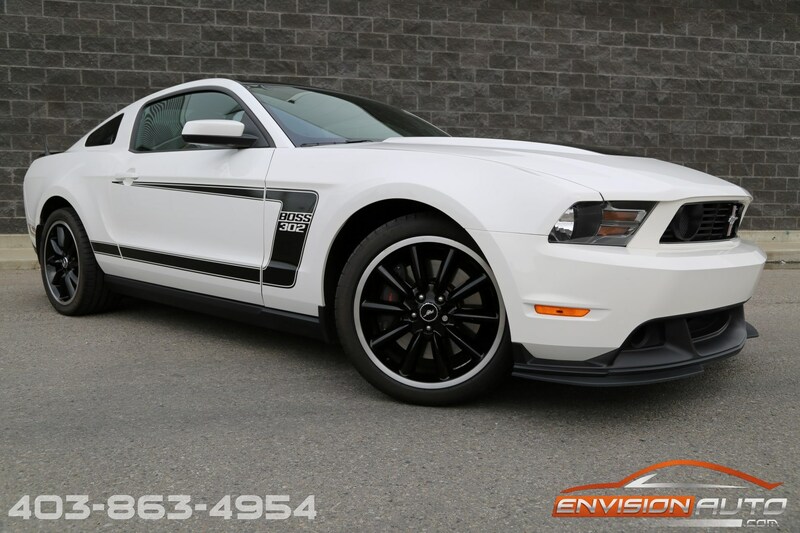 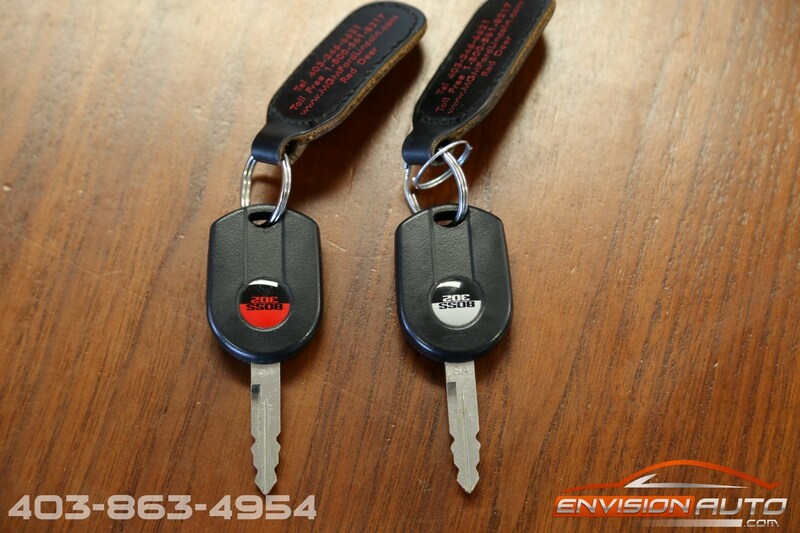 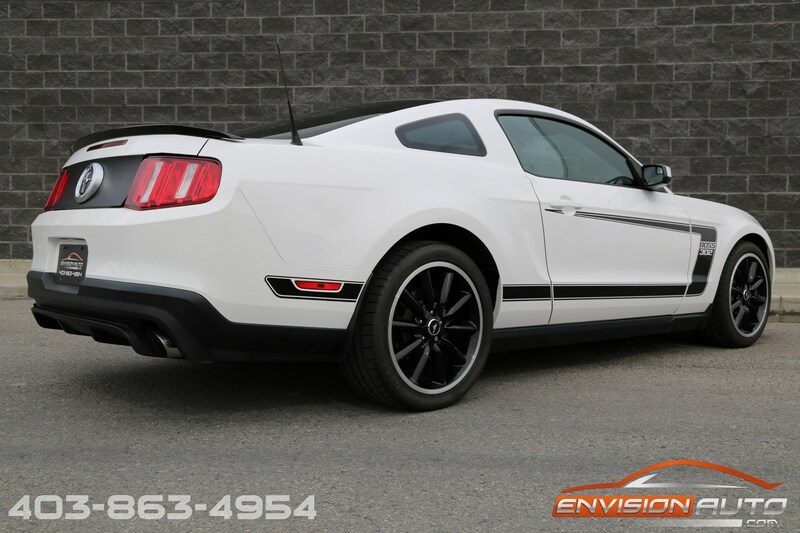 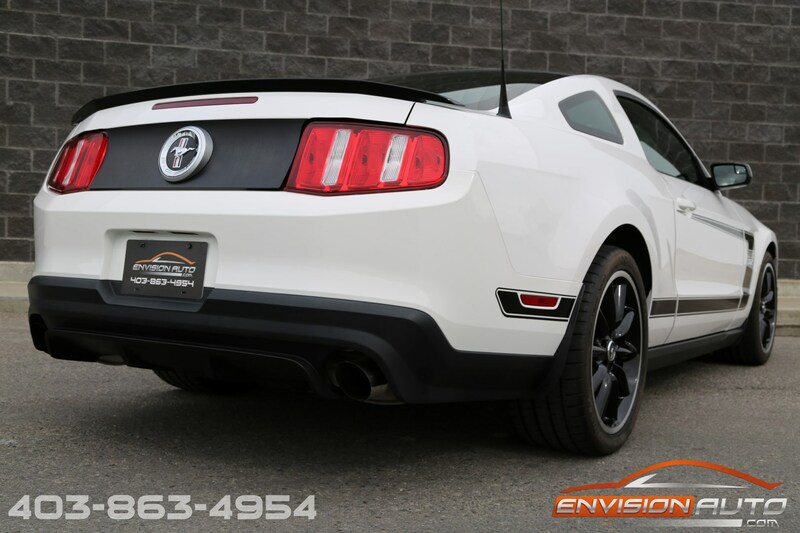 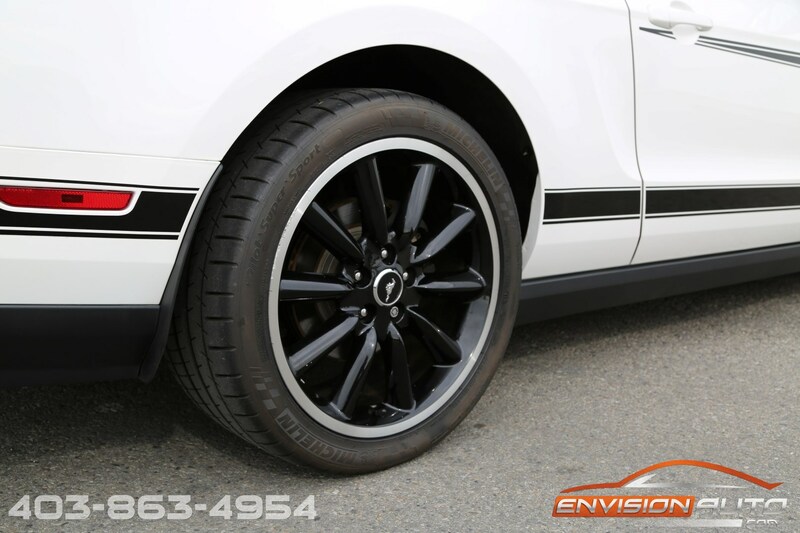 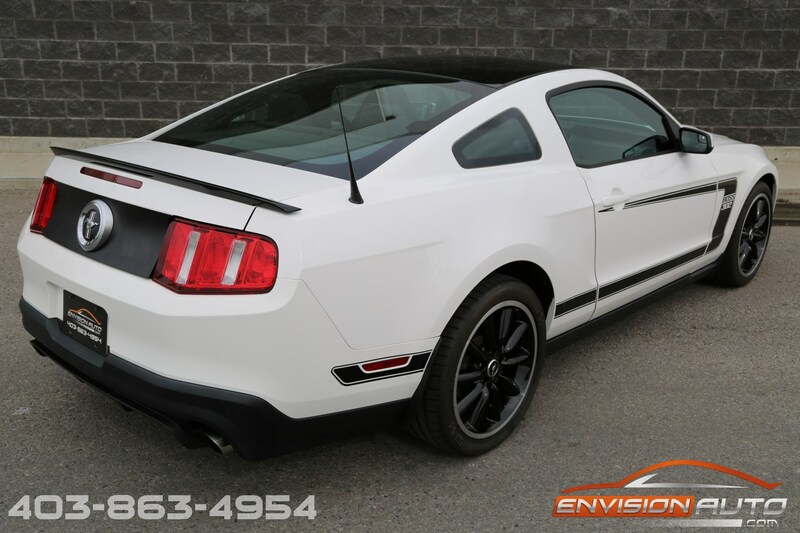 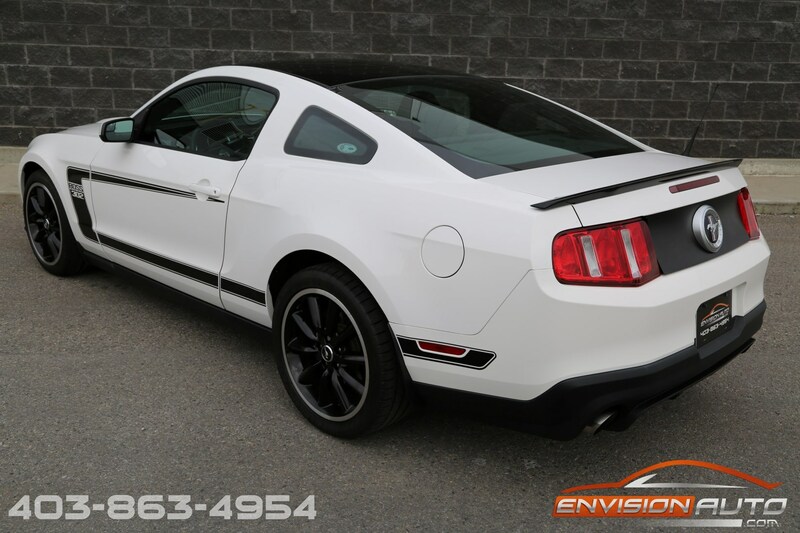 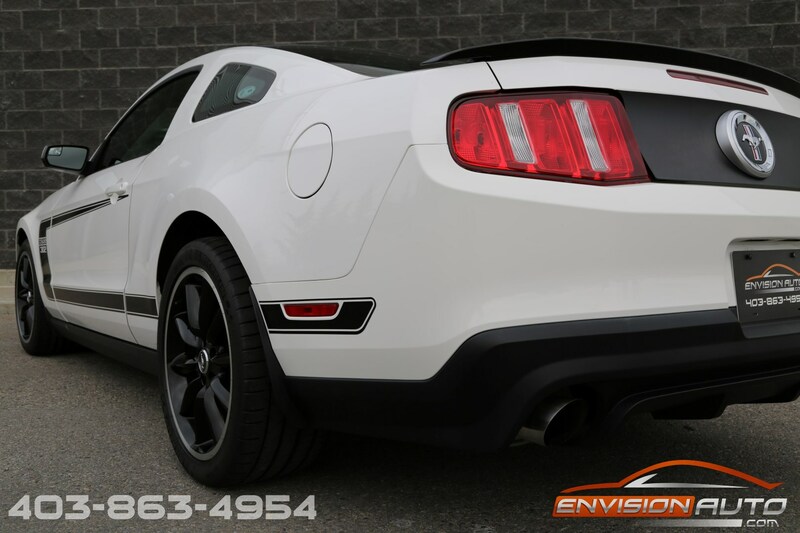 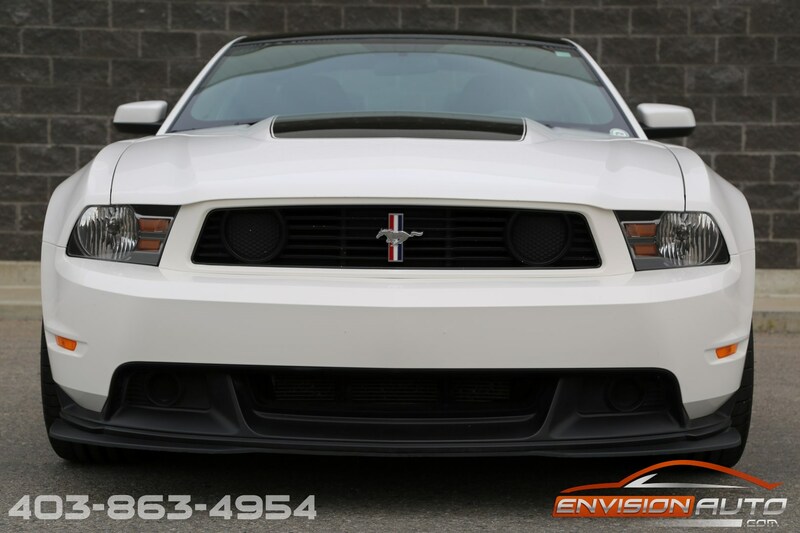 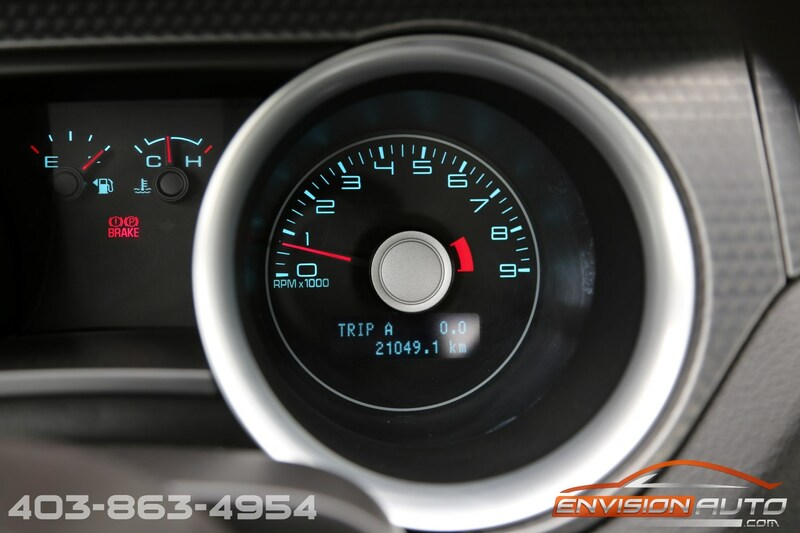 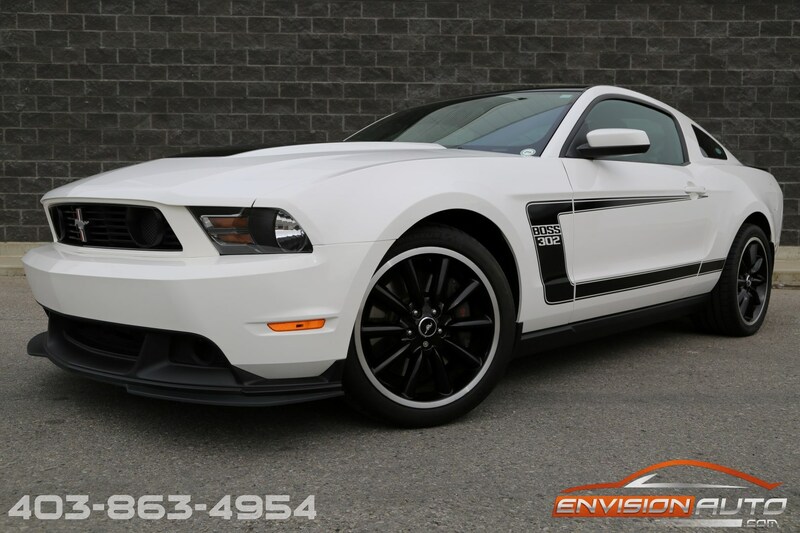 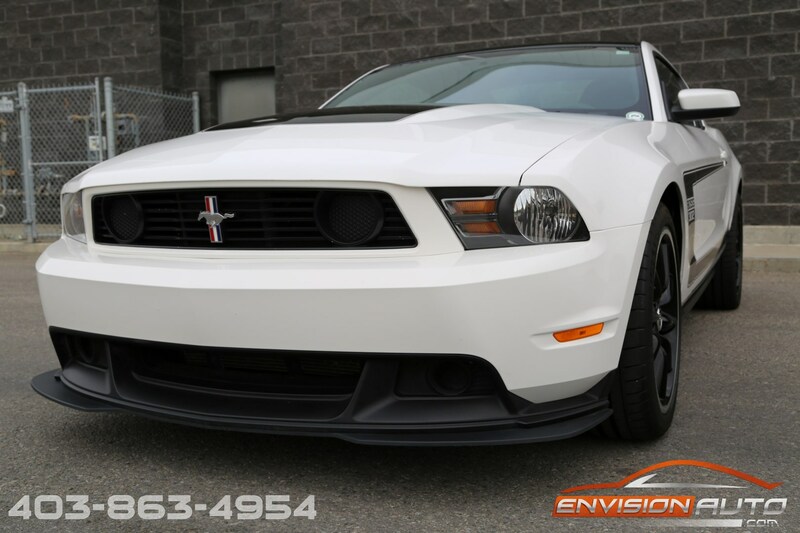 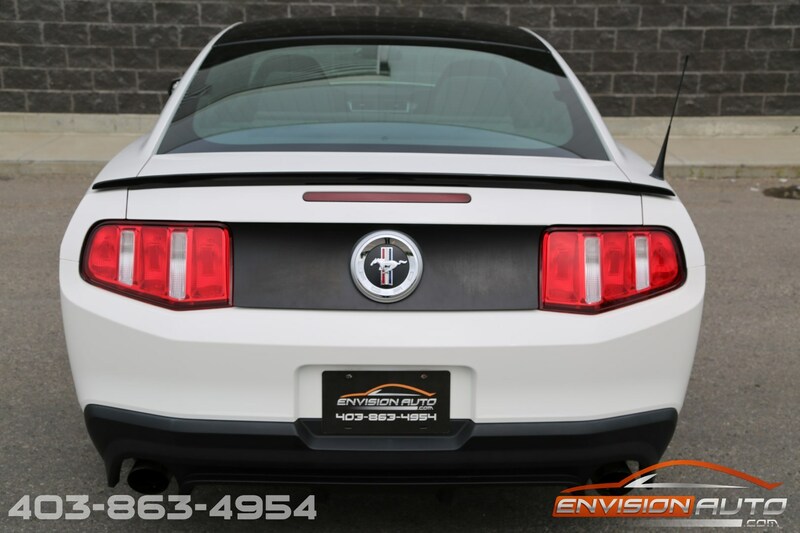 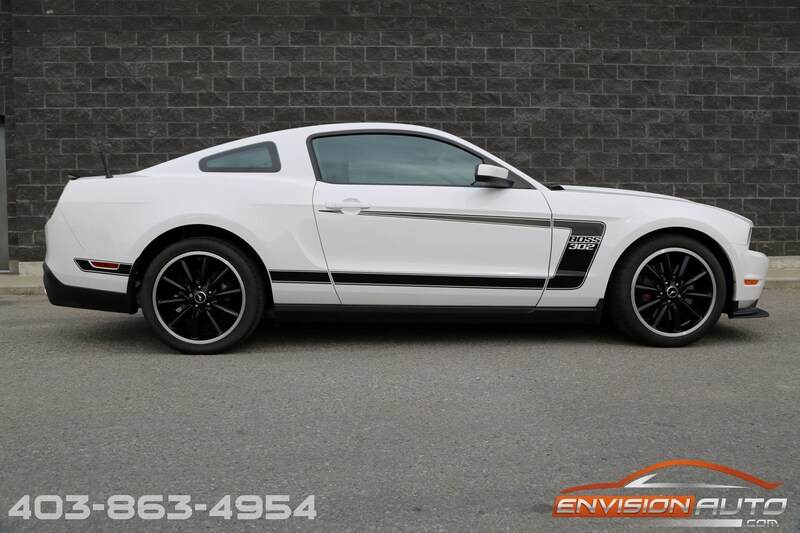 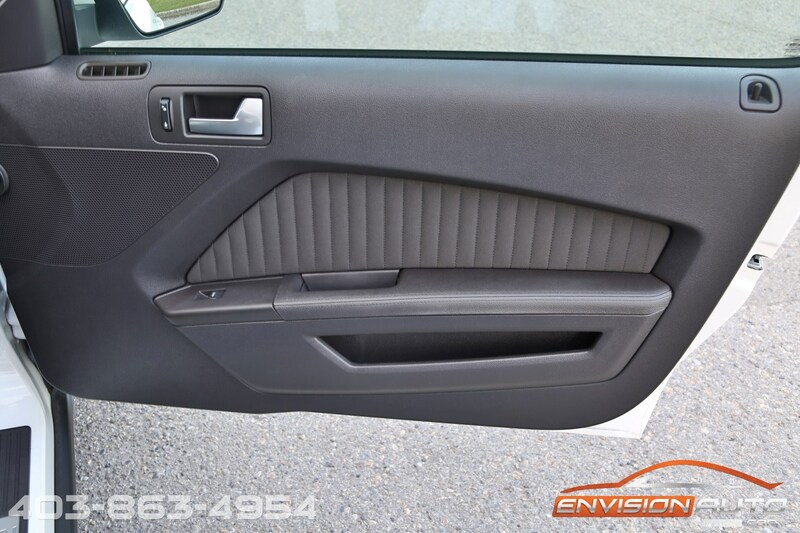 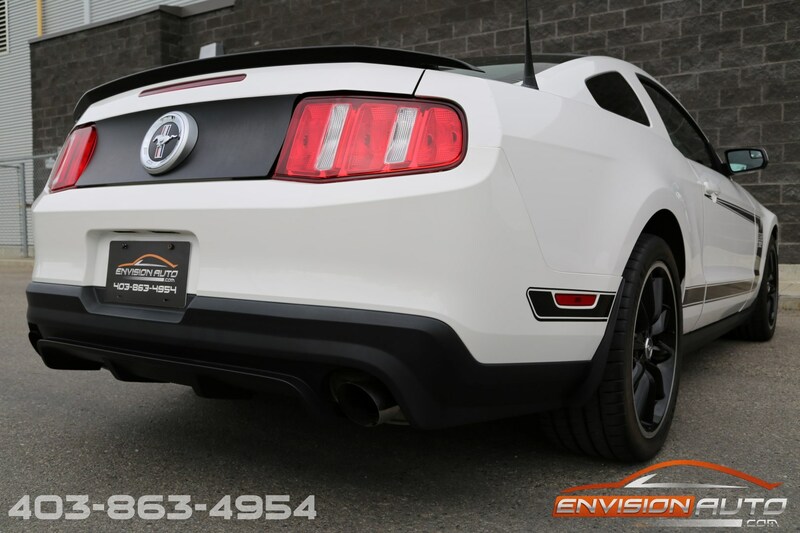 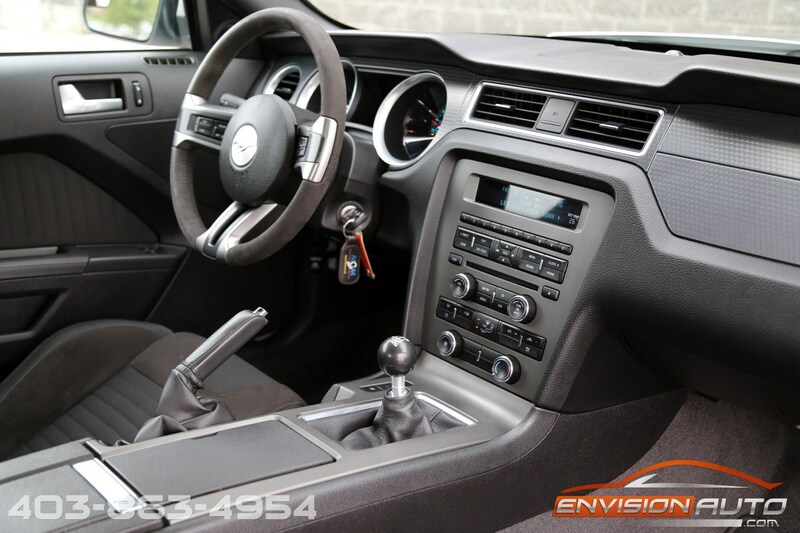 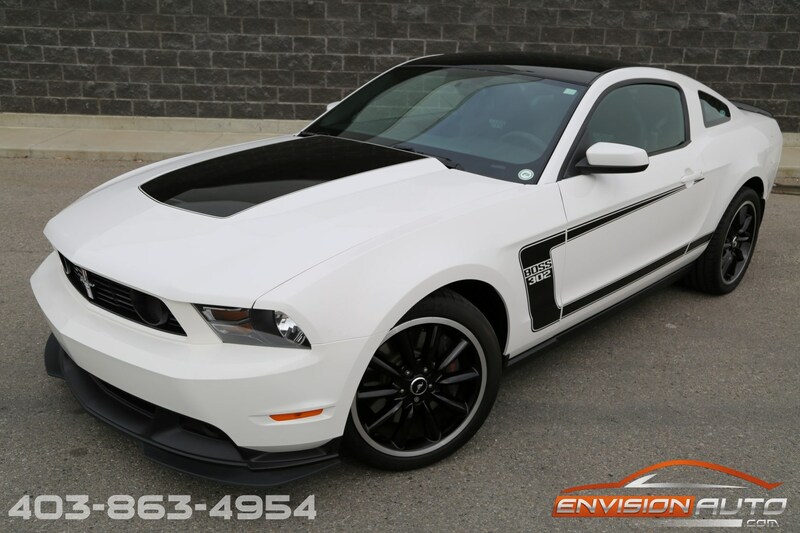 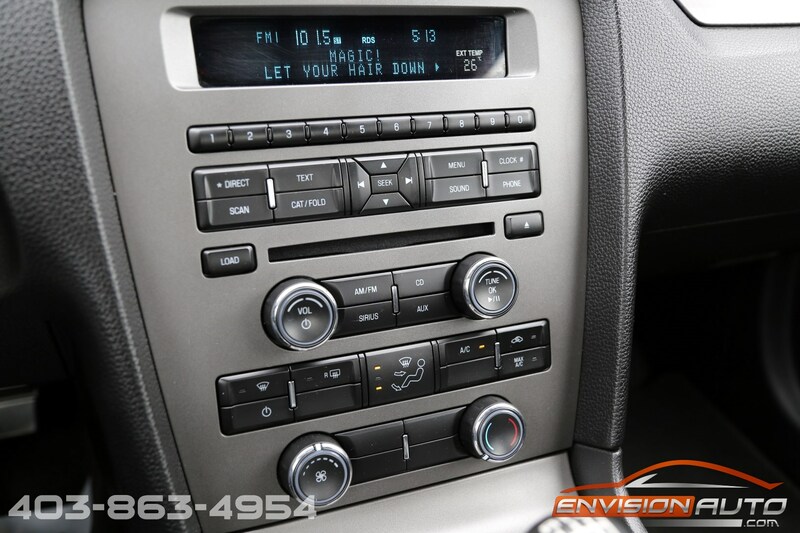 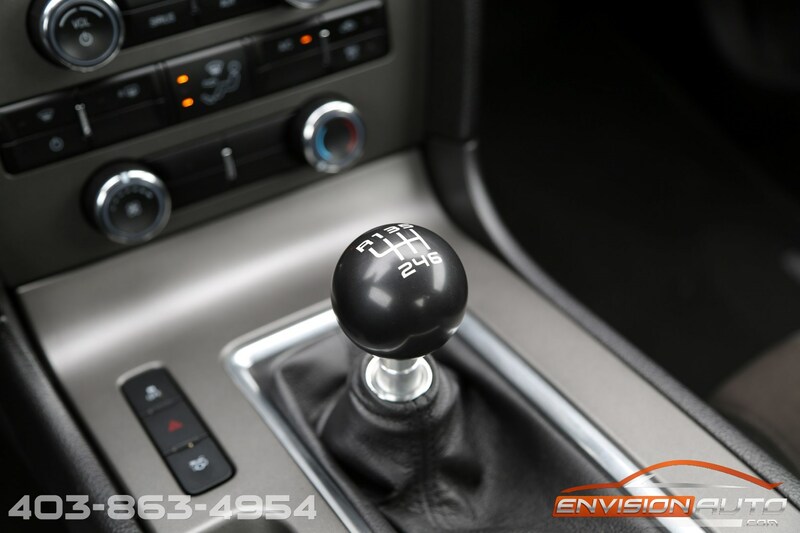 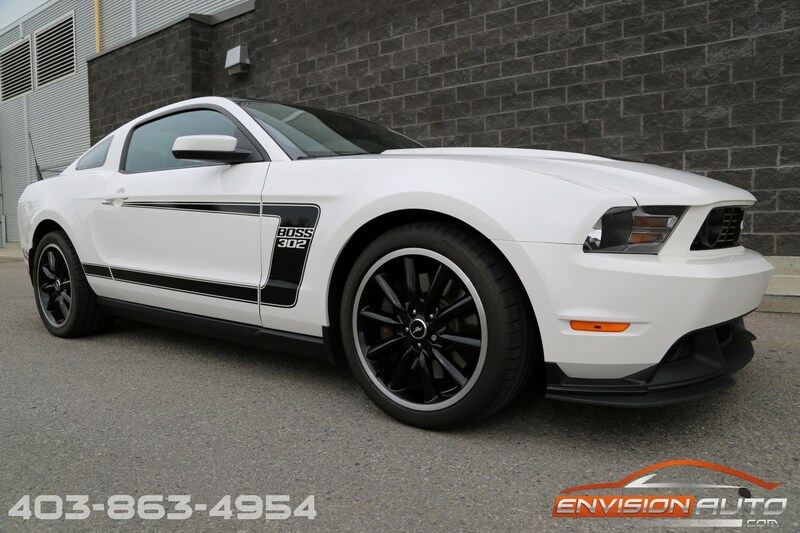 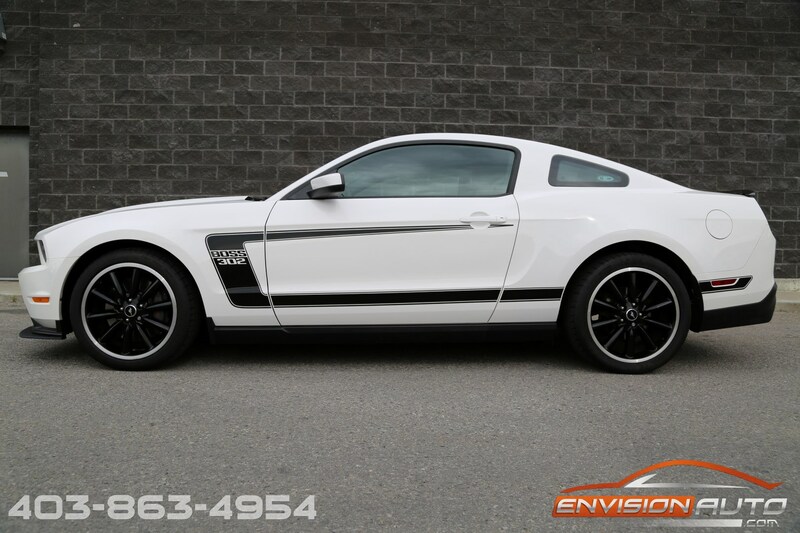 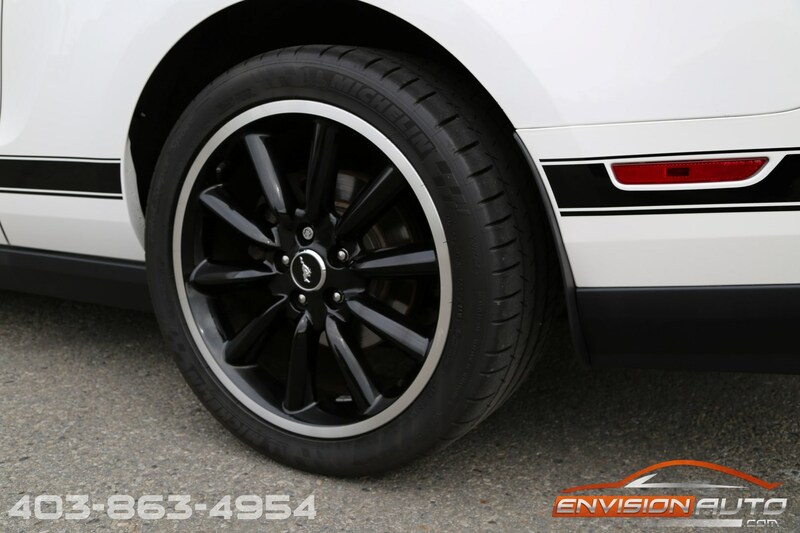 It comes with two keys: one regular key and one TracKey (aftermarket engine performance software upgrade for the 2012-2013 Boss 302) which is activated by the Ford dealership.